Nearly 30% of the drug packages in one clinic’s sample closet were expired, the study said. Dr. Brown said physicians should refuse samples, citing research showing they often go to insured patients and can lead to prescribing medicines based on sample availability rather than evidence on efficacy or safety. 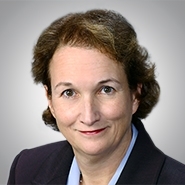 Practices that continue to accept samples should develop formal policies to govern how the drugs are acquired, stored, labeled, organized, logged and dispensed, said Alyce C. Katayama, a health lawyer in the Milwaukee office of Quarles & Brady LLP. She added that someone in the clinic should be charged with tracking expiration dates to dispose of outdated drugs in a timely fashion. A sample-medication error that leads to patient harm could expose a clinic to the same liability that pharmacies face, Katayama said.